DiamondWP is the WordPress theme that you can learn how to build in the HTML to WordPress theme tutorial series. This series has over 40 videos that take you through every step of creating a WordPress theme from HTML and CSS files. 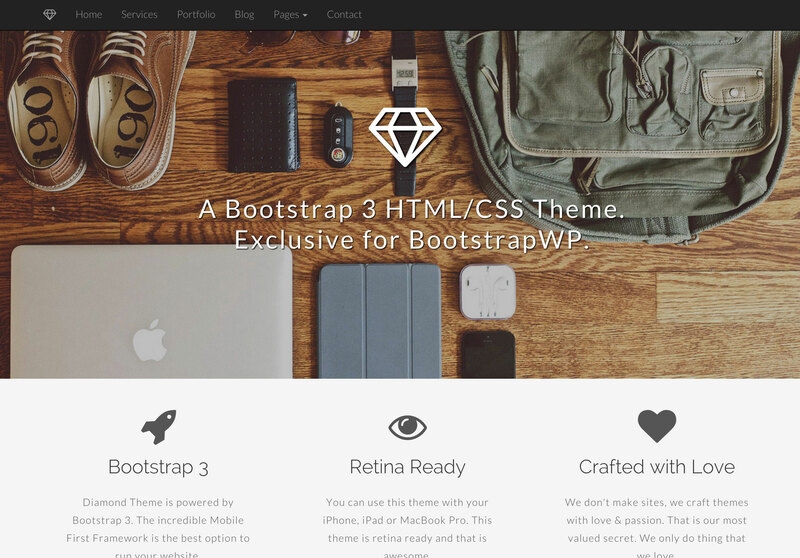 This WordPress theme has all kinds of great features with a nice look and feel. DiamondWP uses the responsive Bootstrap framework so your website will look good on all devices.